Team Trivia - Play Trivia with friends: WANT TO BE ON $100,000 PYRAMID? Team Trivia Blog - Get all your latest information here! 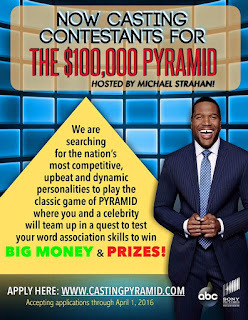 WANT TO BE ON $100,000 PYRAMID? 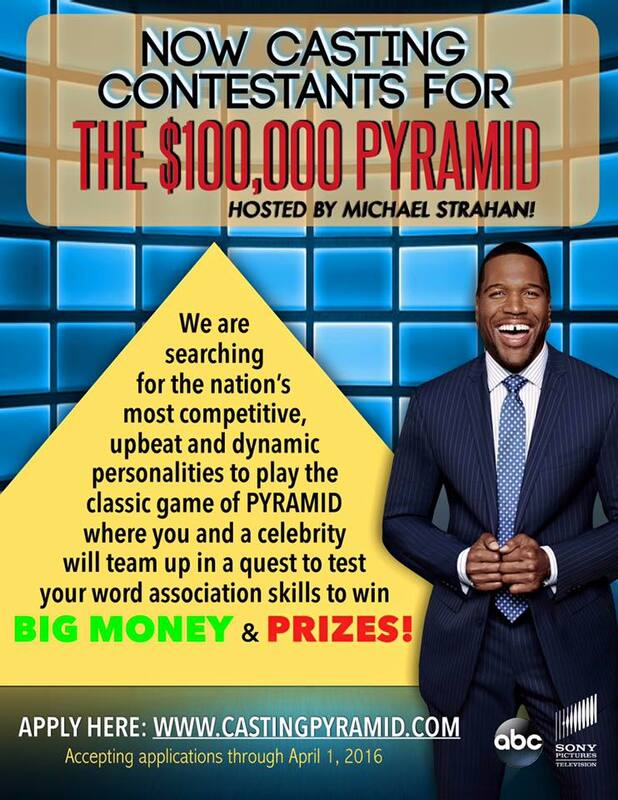 We've been approached by a casting company for the new $100,000 Pyramid, hosted by Michael Strahan, and have been asked to share this casting call with Team Trivia players all over the country. If you're interested in trying out for the show, directions to apply are on the poster. If you try out, keep us updated, and GOOD LUCK!! © 2003 - 2008 All Rights Reserved.